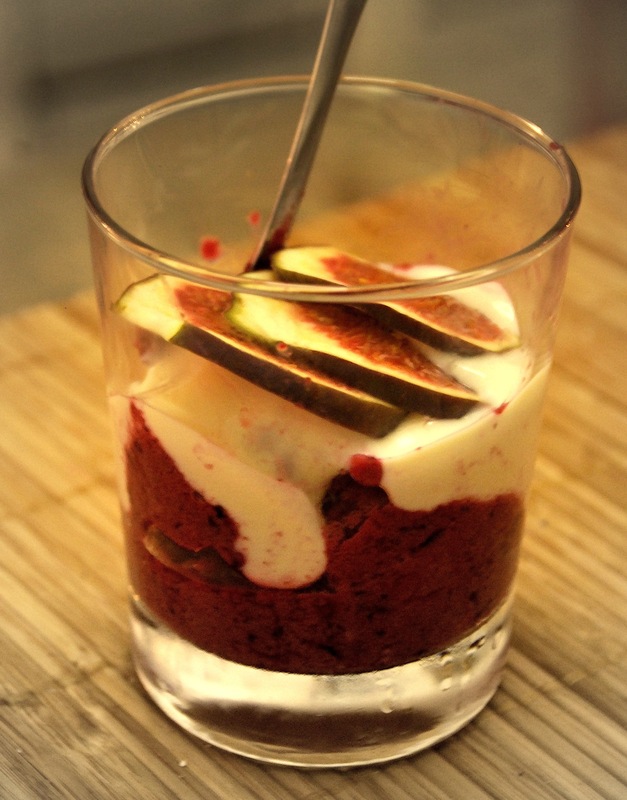 Easy fig & berry dessert – fruity, healthy & pink | vegänsch. As I’m writing this post, there’s a wonderful pink and purple sky outside – perfect time for a quick and healthy, fruity and creamy pink dessert! 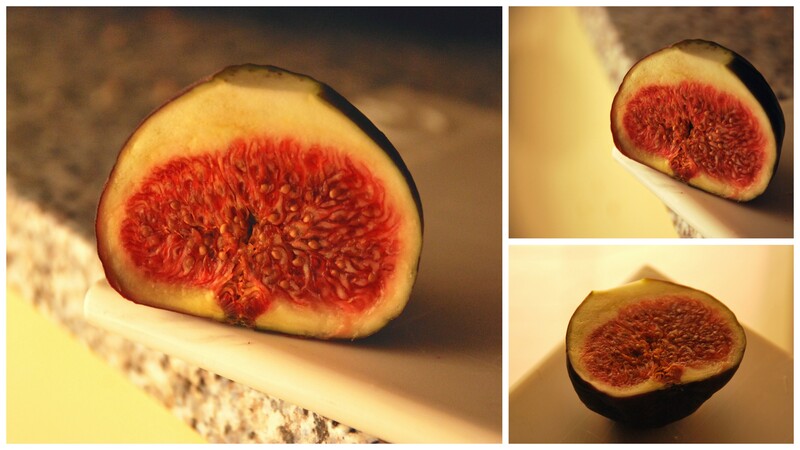 From September to November, figs are sold everywhere in German shops, fresh from nearby France. 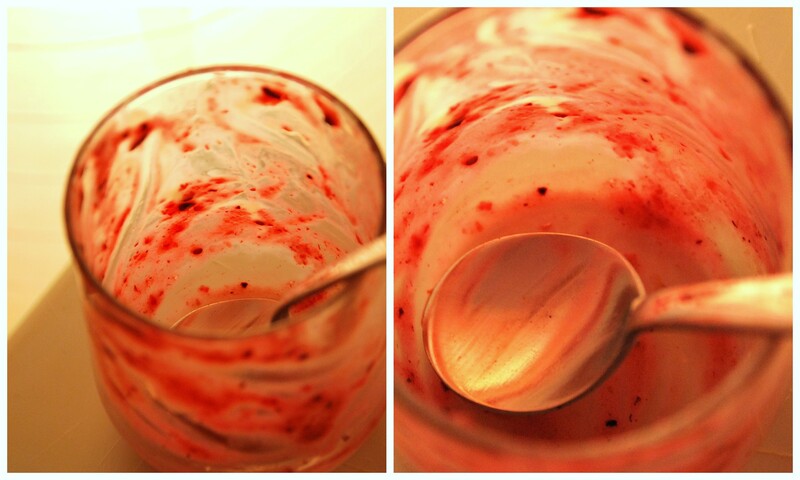 So I grabbed a pair to combine them with berry sorbet and soy-yoghurt. That’s it! 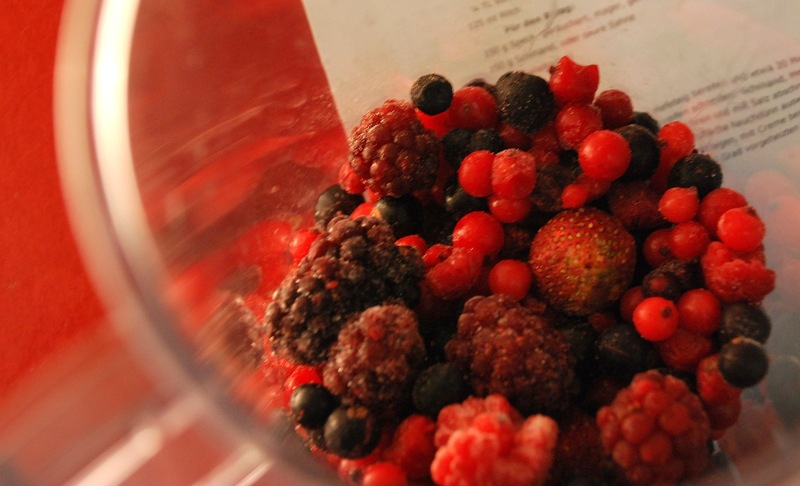 Put the berries, a little bit of plant milk and agave syrup to taste in a high bowl and blend with a hand blender until you have a creamy ice cream/sorbet. 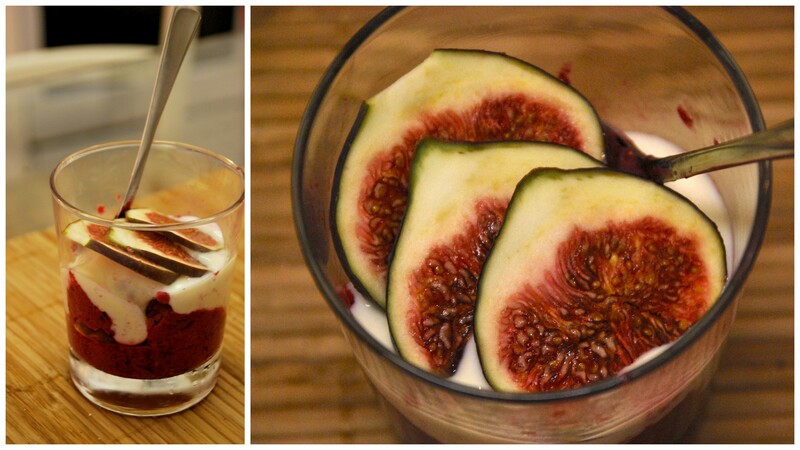 Put the sorbet in glasses, add soy-yoghurt and top with sliced figs.